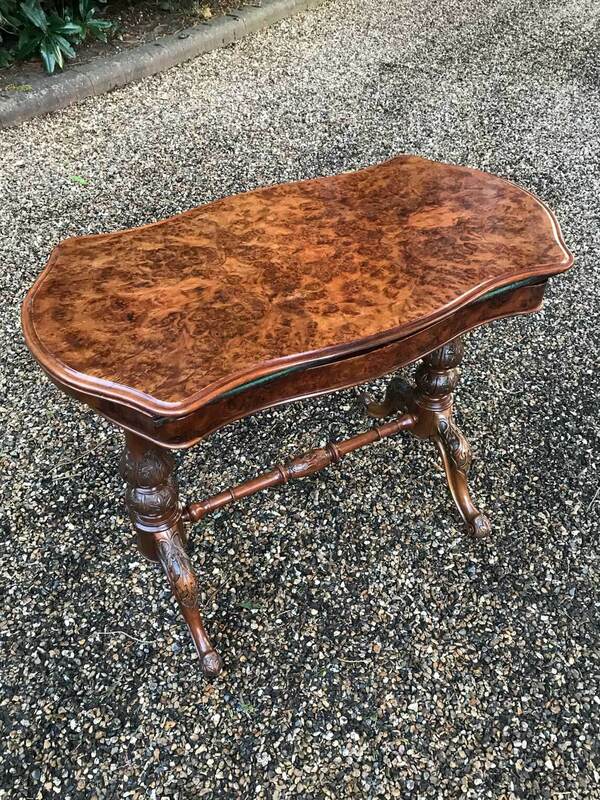 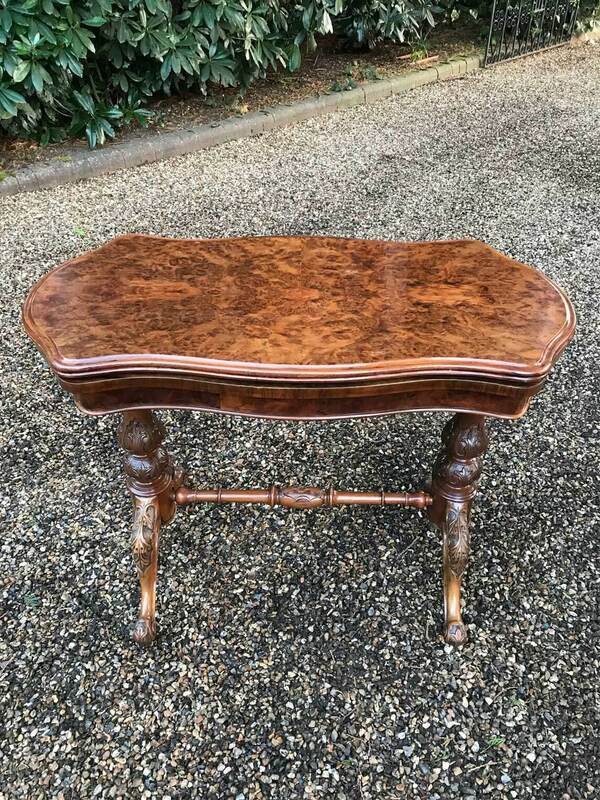 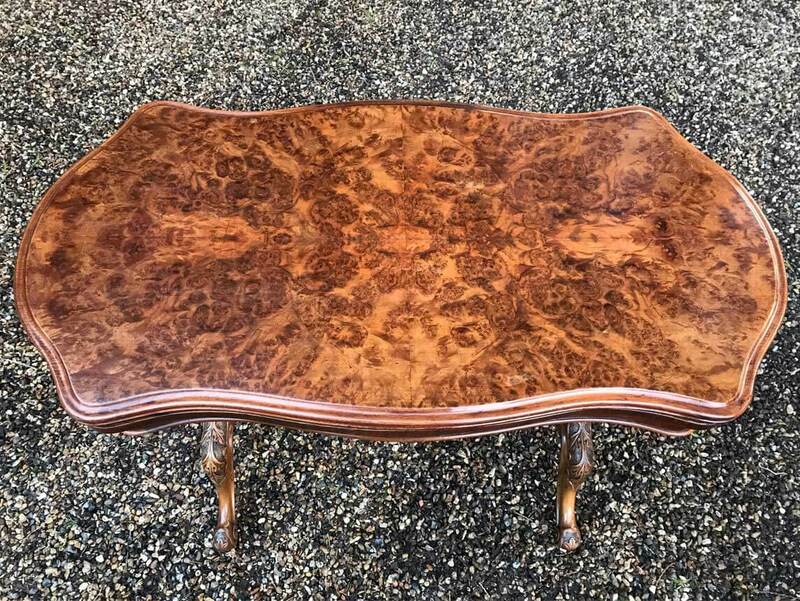 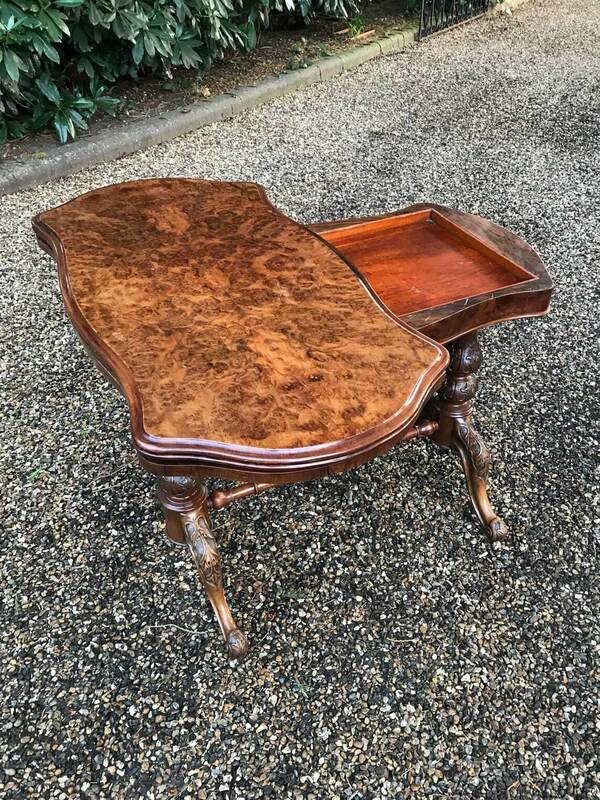 19th Century Victorian Burr Walnut Serpentine Card Table with quarter veneer highly figured burr walnut top and frieze, serpentine in shape with a round end and an inverted corner. 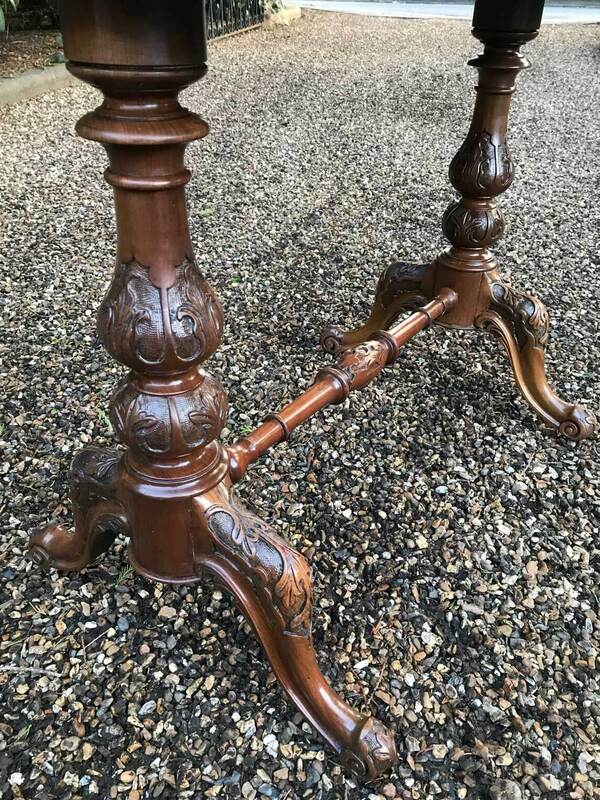 The turned supports are in solid walnut with finely carved gadrooned decoration to the lower turnings. 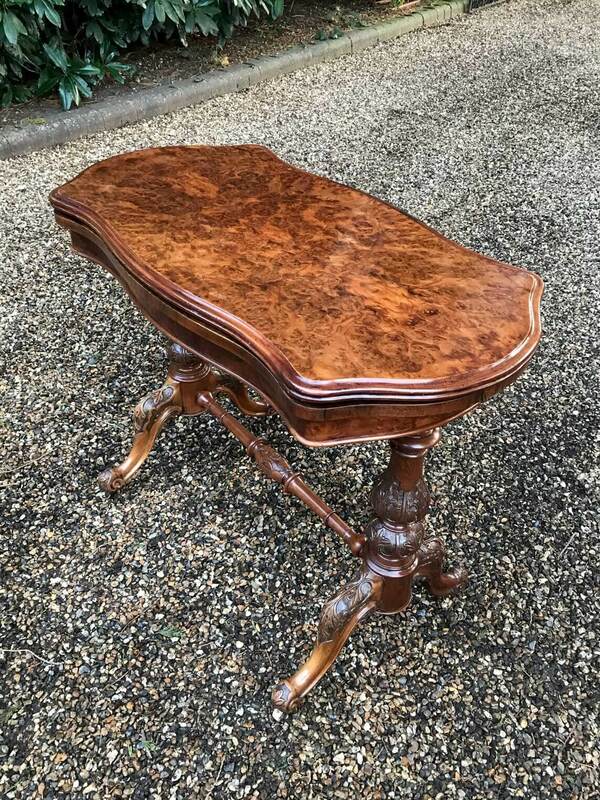 The cabriole legs are well executed and proportioned and terminate with their original white china castors. 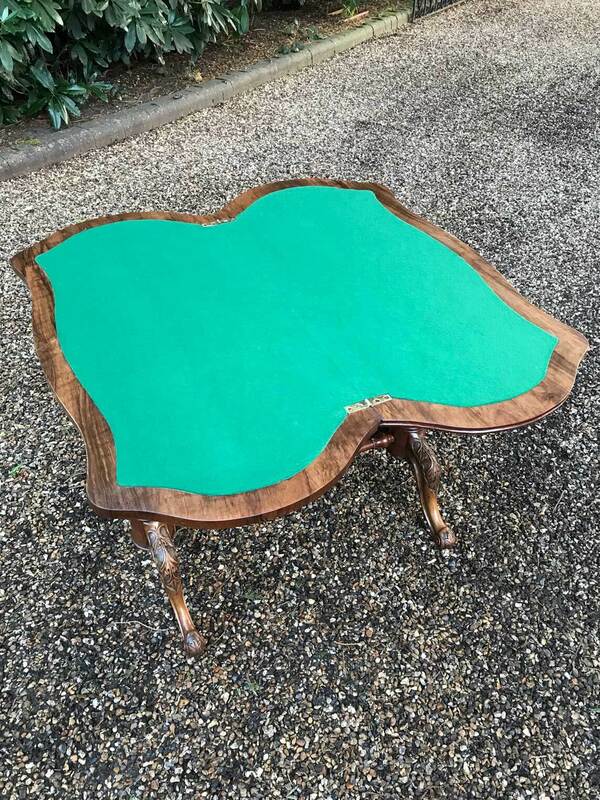 The top rotates by 90 degrees and unfolds to convert to the card table.